Located in a much sought after residential area being just off Sea Road an opportunity to acquire an extended 4 Bedroom Detached Family Home on a very generous plot and having off road parking for 2-3 cars. The accommodation briefly affords: Entrance Hall, Lounge, Dining Room, Family Room and Fitted KItchen. To the First Floor are 4 Bedrooms, Bathroom and Separate Shower Room. 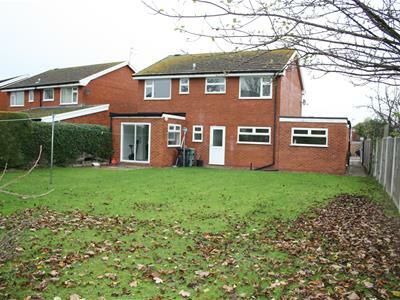 To the exterior there is a garden area to the front and a very large rear garden. 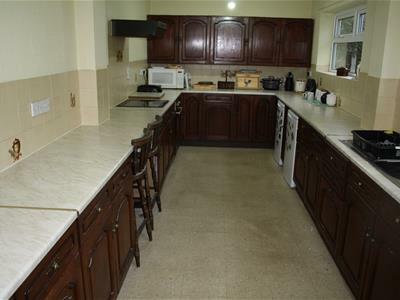 The property is conveniently located for local shops on Market Street and Tesco Supermarket. 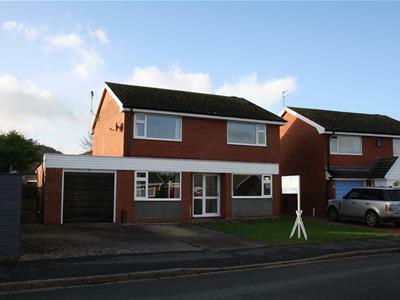 The property also benefits from white uPVC soffits and barge boards. Giving access to white uPVC double glazed front door and matching window. 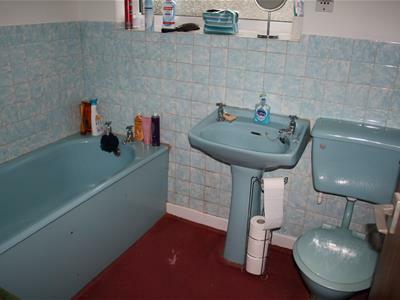 Radiator, power points, telephone point, carpet and useful storage cupboard understairs. Having a two piece coloured suite of low flush WC and pedestal wash hand basin. White uPVC double glazed window with frosted glass, radiator and vinyl floor tiles. 3.25m x 5.44m (10'8 x 17'10)Radiator, power points, TV aerial point, carpet and marble style feature fire surround with matching hearth having an inset coal effect living flame gas fire fitted. Coved ceiling, power points and white uPVC double glazed window with aspect over the front garden. 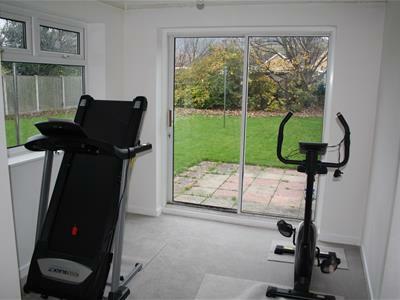 2.49m x 5.38m (8'2 x 17'8)Radiator, power points, carpet and white uPVC double glazed window giving aspect over the front garden. 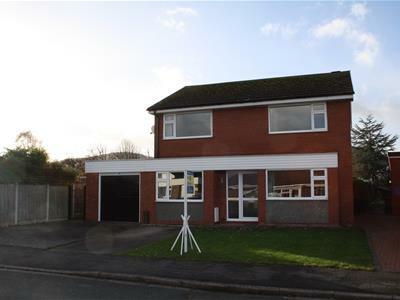 2.95m x 5.44m (9'8 x 17'10)Radiator, power points, carpet and white uPVC double glazed window with double glazed sliding patio doors giving aspect and access to the large rear garden. 6.91m x 2.64m (22'8 x 8'8)Fitted out with a range of base units and matching wall cupboards complimented by rounded edge work surfaces and tiled splash backs. Double drainer stainless steel sink unit with gas hob and electric oven with extractor hood over. Space for fridge freezer, breakfast bar, vinyl floor tiles, power points and double aspect white uPVC double glazed windows giving aspect over the rear garden. White uPVC double glazed exterior door and radiator. 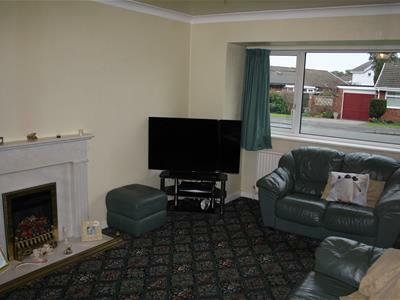 Carpet, power point and loft access. Useful built in storage cupboard. 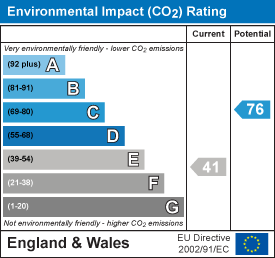 4.78m x 4.22m (15'8 x 13'10)Radiator, power points and carpet. 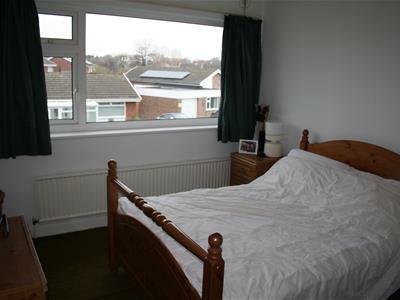 3.20m x 3.66m (10'6 x 12')Power points, carpet, radiator and white uPVC double glazed window. 2.69m x 2.16m (8'10 x 7'1)Radiator, power points, white uPVC double glazed window giving aspect over the rear garden and to distant hills. 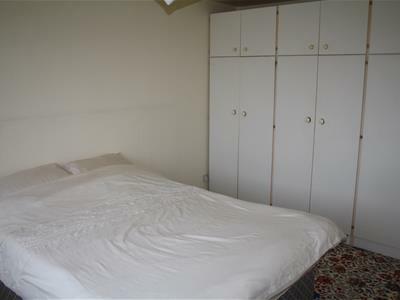 Carpet, built in cylinder airing cupboard and useful built in double doored wardrobe. 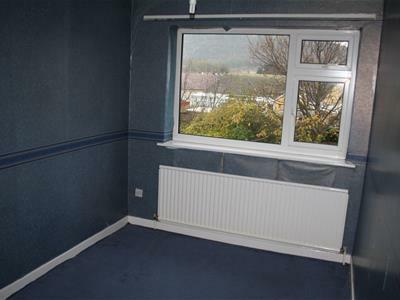 2.39m x 3.86m (7'10 x 12'8)Radiator, power points, carpet and white uPVC double glazed window with aspect over the rear garden and to distant hills. Built in storage cupboard. Comprising of a three piece coloured suite of panelled bath, pedestal wash hand basin and low flush WC. Radiator, carpet, half tiled walls and white uPVC double glazed window with frosted glass and shaver point. 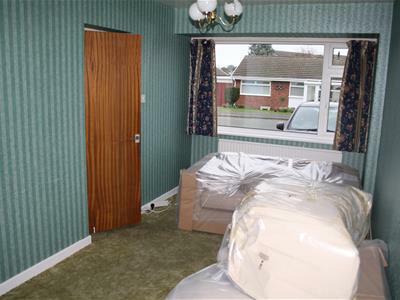 Fully tiled walls, vinyl floor tiles, white uPVC double glazed window with frosted glass. Electric shower fitted with curtain and rail. 5.44m x 3.10m(internal measurements) (17'10 x 10'2Metal up and over door, power and light laid on. Freestanding gas fired central heating boiler. and cold water tap. Space for washer dryer, plumbing for automatic washing machine, fridge etc. Personnel door giving access to the side and rear garden. 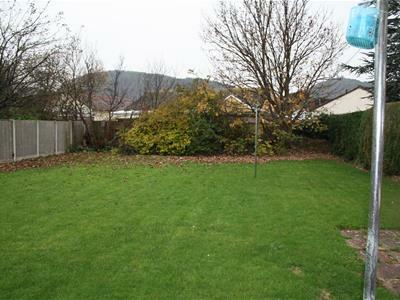 Enclosed and large rear garden being mainly lawned with mature trees and flagged patio area. Outside security lighting. From the Agents office proceed to Kinmel Bay via the A548 Coast Road and proceed over the blue harbour bridge into Kinmel Bay. Proceed through Kinmel Bay and onto Towyn over the railway bridge through Pensarn heading towards Abergele. At the traffic lights in Abergele take a right turn onto Market Street. Proceed along Market Street to the mini roundabout, proceed straight across and take the 1st right into Sea Road and take the third turning left into Heol Hir and Number 9 can be seen on the left hand side. 2. 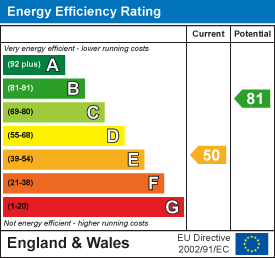 These details are prepared in the firms capacity as Estate Agents and express our opinion as the property existed on the day of inspection. 3. Any interested party is advised to obtain independent advice on the property prior to a legal commitment to purchase. 4. 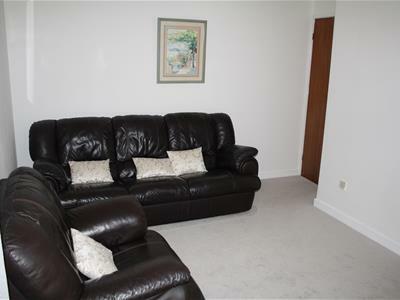 All viewings and negotiations are to be carried out through The Agents. 5. This sales detail is protected by the Laws of Copyright.